West Yorkshire Police receive thousands of calls each week from members of the public. Although important, these calls are, inevitably, time consuming. Many of the questions focus on routine aspects of criminal law or police procedures and are repeated time and time again. 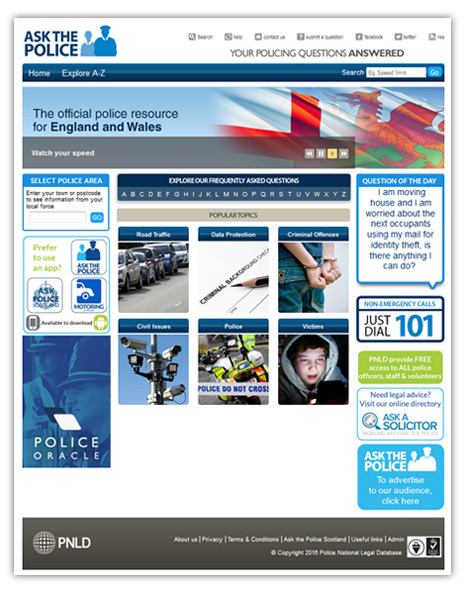 'Ask the Police' (www.askthe.police.uk) is a national online information resource of Questions and Answers that responds to a wide variety of the general public's most frequently asked policing questions. It offers an alternative online option to calling 101, reducing calls to the police, freeing up resources and saving money. Access the West Yorkshire area to view the questions and answers you need.